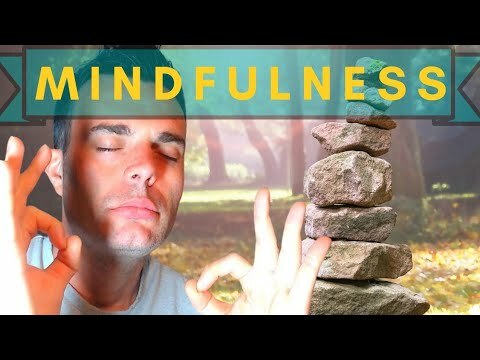 In this introduction to mindfulness for beginners, I’m going to show you how easy it is getting started with mindfulness meditation. I’ll cover all the basics and show you the core mindfulness techniques. You will also want to read my beginners meditation guide. I’ll also show you how to teach kids mindfulness. 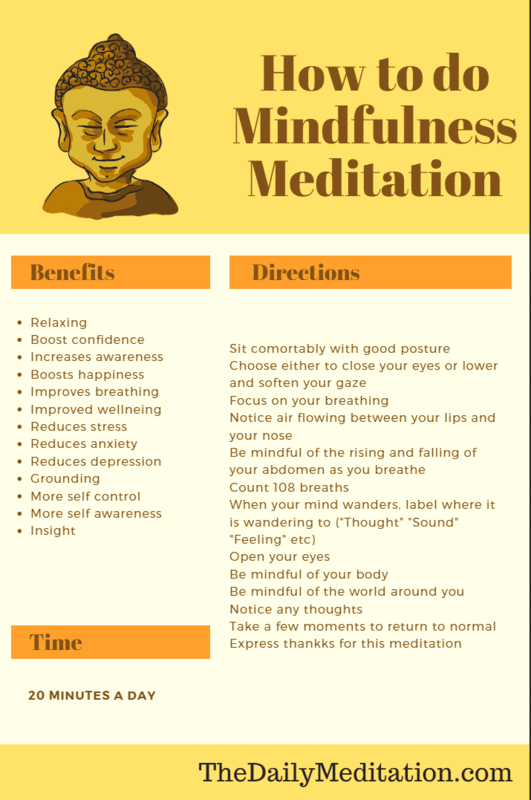 By the time you finish reading this guide you will know how to do mindfulness meditation properly. And you’ll be able to use mindfulness to relax, focus, and stop stress. Let’s get started on mindfulness. 2600 years ago Guatama Sidhartha (Buddha) started the mindfulness meditation tradition. 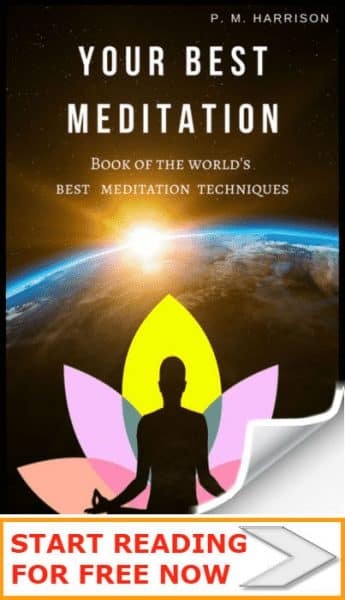 It soon became one of the best Buddhist meditations for beginners. Today, two and a half thousand years later, millions of people are getting started with mindfulness. More and more people are awakening to the force of this simple yet powerful technique. What we are all learning is this: when you start doing mindfulness meditation, you change your life. There’s so many great benefits to mindfulness for beginners. If you’re new to mindfulness meditation you will probably want to know what you’re going to get out of it. Over the past 50 years it has been proven that mindfulness meditation offers more than 100 health benefits. Remember, these are the benefits of mindfulness for beginners. You will get even more out of mindfulness as you continue to practice. Don’t you find it amazing that, in an age when more people are being prescribed anti-depressants than ever before in history, one of the best things we can do for ourselves is to just start on mindfulness meditation? 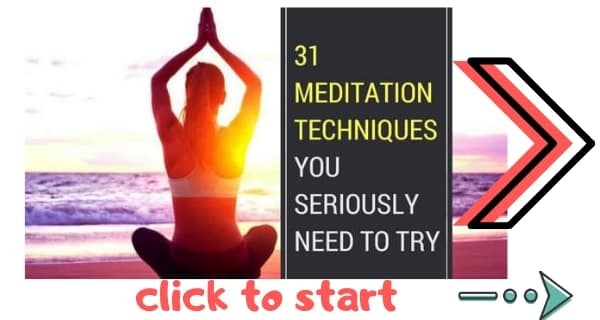 In my guide to 31 meditation techniques I reveal the most important types of meditation. Mindfulness is the single most important of all those techniques. Mindfulness is the simple but life-changing practicing of focusing the mind on the present moment. So if you’re interested in getting started with mindfulness meditation, start by focusing on now. That’s a great definition of mindfulness for beginners. Mindfulness meditation technique is about being aware of the present moment without judgment. Focus on the movement of your breath though your nose. Make sure your mind is 100% focused on the movement of your breath. Zen master Thich Nhat Hanh says “Conscious breathing is my anchor”. Anchor your mind on your breath. Take 25 mindful breaths. Do not force the breath. Let it come and go as it will. When you do this focus on a) being in the present moment, b) accepting things as they are, and c) being non-judgmental. Next, try my 6 mindfulness exercises for beginners. Above we looked at an easy way to begin mindfulness. And you saw that mindfulness is about focusing on the present moment. Mindfulness is very easy, yet it is also infinite because we can be mindful of anything. Jon Kabat Zin, the founder of Mindfulness Based Stress Reduction, says, “Wherever you go there you are”. In fact, he wrote a book by that very title (it’s available on Amazon). It’s one of the best mindfulness books out. The title of the book alludes to the fact that we are where we place the mind. Whatever we focus on, that is where we are. What we focus on we become. When we focus the mind on the breath, we become the breath. TRY IT: Focus your mind 100% on your breathing. You will experience moments when you become your breath because the breath is the one and only thing you are focusing on. Consider how huge that is. We can focus on any one thing and “become” that one thing. Imagine two people in a locked room with one window. The one window shows a beautiful countryside. The rest of the room is just bear walls. Now imagine two people in that room. One person focuses on the ugly walls. The other person focuses on the beautiful countryside. The first person becomes depressed, feels trapped, and is miserable, because they are focusing on just the bear walls. The second person is happy and joyous, because they are focusing on the beautiful scenery. Both people live the same life in the same room. Yet one is happy and the other miserable. And the only difference is the thing they are focusing on, the thing they are mindful of. The mind is like the sun. Both the mind and the sun are energy centres. The sun creates heat and light. The mind creates awareness and consciousness. The beams of the sun radiate outwards, spreading light onto all they touch. The mind radiates consciousness, which enables us to see the world. Without the sun, we wouldn’t see. And without consciousness we wouldn’t see either. The rays of the sun get blocked by clouds. And then the world turns dark. The rays of the mind get blocked by thoughts. Stress, concerns, worries… these all make it harder for us to see clearly. They make the world a darker place. When the sun is clear and the skies are blue, we feel good. When the mind is clear and consciousness is pure, we feel good. Mindfulness clears the mind so you can see clearly without the clouds. One of the problems with mindfulness for beginners is that we forget to be mindful. While getting started with mindfulness is easy, staying mindful is much harder. The reason it’s hard to stay mindful is simply that we forget. We forget to be mindful because we become distracted. This is the biggest problem with mindfulness for beginners. You will probably find you lose focus too easy. You get distracted. Thankfully it gets better with practice. But even then: your focus varies day to day. Have you ever experienced days when you were living in your own mind? Days when you weren’t paying attention to what was happening around you? At those times you might say you were being mindless. You were ignoring reality and focusing only on your thoughts. Did you notice how you started to feel negative / sad/ anxious / stressed at those times? When you are not mindful you are much more likely to experience negative emotions. Those are the moments when you need to take affirmative action to be more mindful. You need to do mindfulness meditation to you regain your mindfulness. Mindfulness is the way we naturally are. And it feels good! At those times we need to take steps to regain mindfulness. To become mindful once again, we practice mindfulness meditation. The term “mindfulness” comes from Pali (an Indian language). In Pali, mindfulness literally means Remembering. When you’re a mindfulness newbie, remember that the key is to train the mind to remember to focus on the present moment. It’s almost shockingly simple. We just remember to be now. Because now is life. Miss now and you miss life. No wonder spiritual guru Eckhart Tolle wrote an entire book called The Power Of Now, teaching people how to exist in the present moment. And no wonder it became one of the highest selling mindfulness books of the past 100 years. Mindfulness equals living in the moment. It easy to begin mindfulness. But it does have to be done properly. Let’s start with the basics. Go slow. Mindfulness is entirely about slowing down the mind. If you rush into it you’re missing the entire point. Set a meditation timer. That way you will know how long you’re meditating for and you will not be tempted to look at the clock. This is a good way to stop being distracted during mindfulness. Tell yourself that you are going to focus 100% on mindfulness for the next 20 minutes. Above I shared a few easy mindfulness meditation techniques for beginners. 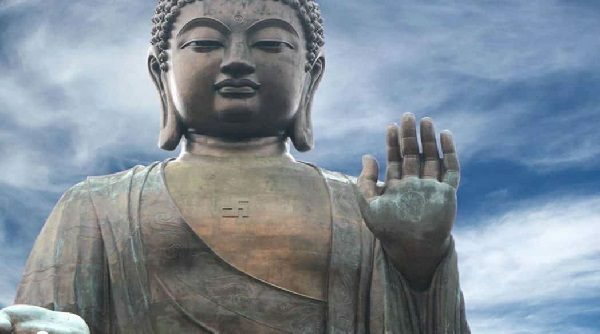 Now it’s time for the proper Buddhist mindfulness technique. Beginners can do this too. Just go slowly. Sit comfortably with good posture. You can sit on a special cushion, on the floor, park bench, wherever you like. Just make sure you’re comfortable. Place your upper arms parallel to your upper body. Let you wrists drop so that your hands are placed gently on your lap. You can choose to adopt one of the meditation mudras if you like. But what really matters is that you are comfortable. Drop your chin and let your gaze drift softly downwards. You can choose to either keep your eyes open, to let your eyelids drop so your eyes are partially closed (three quarters closed is good) or completely close your eyes. But do not focus on your vision. Focus on your breathing. There are lots of different types of breathing meditations, of which the most important is Anapanasati meditation. Read this guide to Anapansati so you are breathing the right way. Focus your mind on your breathing, paying particular attention to how your breath flows between your lips and through your nose. Be mindful of the rising and falling of your breath in your abdomen. At times you will notice that your focus wanders. This is inevitable. When this happens simply relax and gently bring your focus back to your breathing. When you feel that you need to move, or you get an itch, take a moment to just sit still. Then consciously decide to move. It’s important that you consciously make the decision to move as this will train your mind to be inwardly still. When thoughts arise, accept them. Do not try and push them back and do not judge them. Just observe them and let them come and go. At the end of your mindfulness practice, open you eyes and lift your gaze. Sit still and be mindful of the sounds around you. Notice any feelings in your body. Take a moment and consciously decide to carry on with your day. To take it further, try these 25 mindful habits. One of the best thing about mindfulness is that there are so many ways to do it. There is no one mindfulness exercise. There are many. Here are some of the best mindfulness techniques for beginners. Mindful breathing: Mindful breathing simply means focusing on the movement of the breath around the body. Read THE DAILY MEDITATION’s mindful breathing guide. Tai chi / QiGong: Tai Chi and QiGong are Eastern physical exercises that use slow and conscious movements. 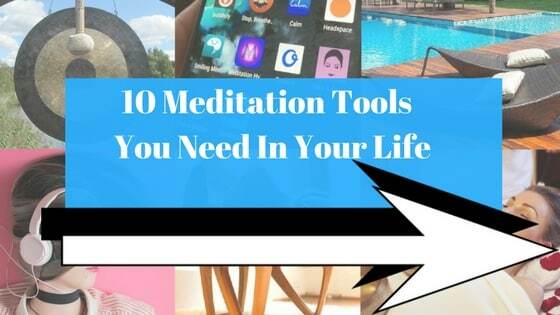 These are great for slowing down the mind. Body Scan: Body scan is a traditional type of meditation. In this mindfulness technique, we slowly move our consciousness around the body while relaxing our muscles. This is very similar to progressive muscle relaxation. Mindfulness Based Stress Reduction: Jon Kabat Zinn founded the practice known as Mindfulness Based Stress Reduction in the 1970s. It’s a full-system of mindfulness exercises used to stop stress. Mindful eating: Mindful eating is all about eating slowly and consciously. This technique is great for anyone who comfort eats or eats mindlessly. You can learn more in my tutorial on mindful weight loss. Along with the traditional techniques above we can also practice basic mindfulness activities. Try my personal favorite mindfulness exercise: mindful writing (excellent for beginners). Clearly, there are some seriously amazing things that happen when you begin mindfulness practice. But mindfulness is just one of many meditation techniques for beginners. Next, take a look at my Buddhist Meditation Plan for Beginners. My plan will show you how to use different Buddhist meditations together to create overall health and happiness. I truly hope you have enjoyed this introduction to mindfulness meditation. It would mean the world to me to hear from you. And if you found this guide useful / entertaining, remember to share.